Don Diego is named after Center Veterinary Clinic’s clinic cat. The cute cat fabric came from a donation of scrap fabrics I had received from them a few months back. Their clinic cat Diego sounds like he is quite a rascal! In addition to their donated fabric, I used leftover scrap fabrics from a variety of prior quilt projects. This is the 50th donation quanket I have made. 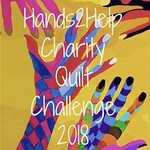 I typically like to finish one girl and one boy quilt and then take them over to the County of Ventura, Children & Family Services, via the Children’s Services Auxiliary of Ventura County. With the completion of Mr. Blue Sky, Don Diego was donated in July 2015.